We are a fellowship of believers who strive to become whole persons through witness to the love and grace of Jesus Christ, and to minister to the needs of all persons. We position ourselves to receive Christ's peace and love. ​White Deer United Methodist Church on FB. 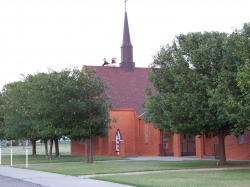 Sunday School classes for all ages 10 A.M. Prayer Group Wednesdays at 9:30 A.M. Youth Groups - Sundays at 6 P.M.